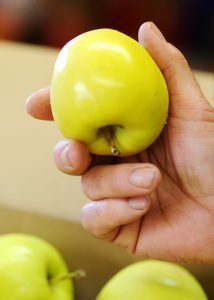 Ginger Gold Apple Special at WS Produce! Today, Saturday, October 9th, come get your fresh, crisp Ginger Gold Apples for only $ .49/LB at West Seattle Produce!!! Open til 7 pm tonight! Get some hard to come by Chantrelle mushrooms while you’re there for only $8.99/LB! Great deals to be had on amazingly fresh produce every day and literally cartloads of pumpkins for the kids! Fun for the whole family!